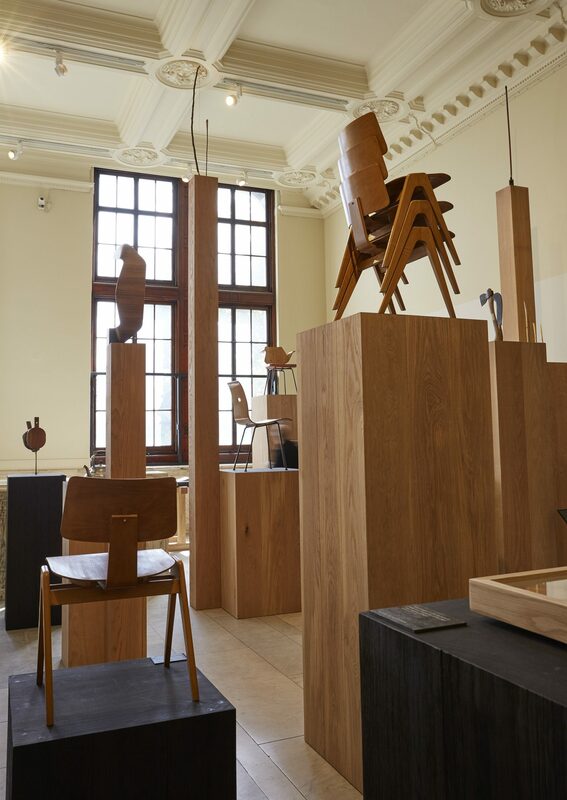 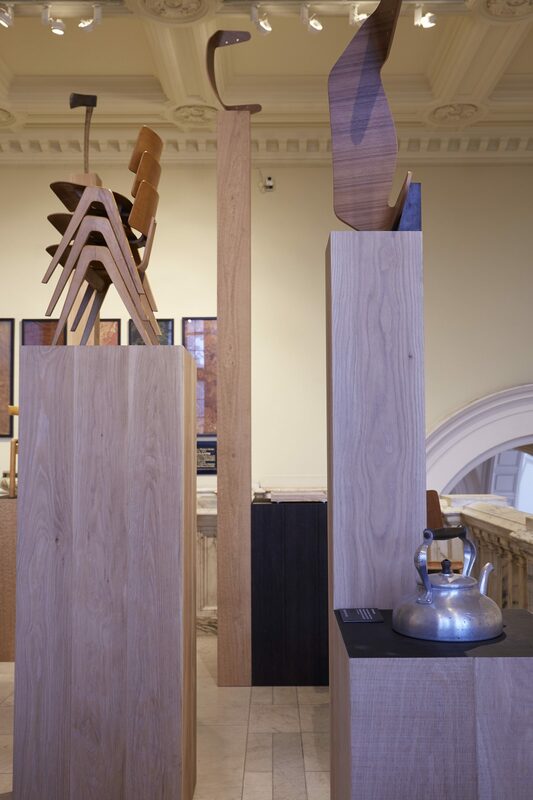 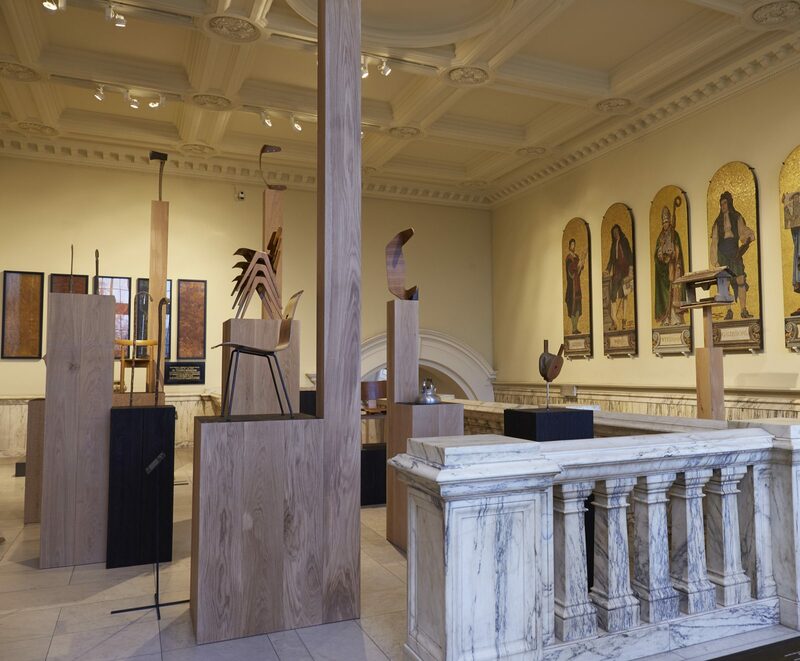 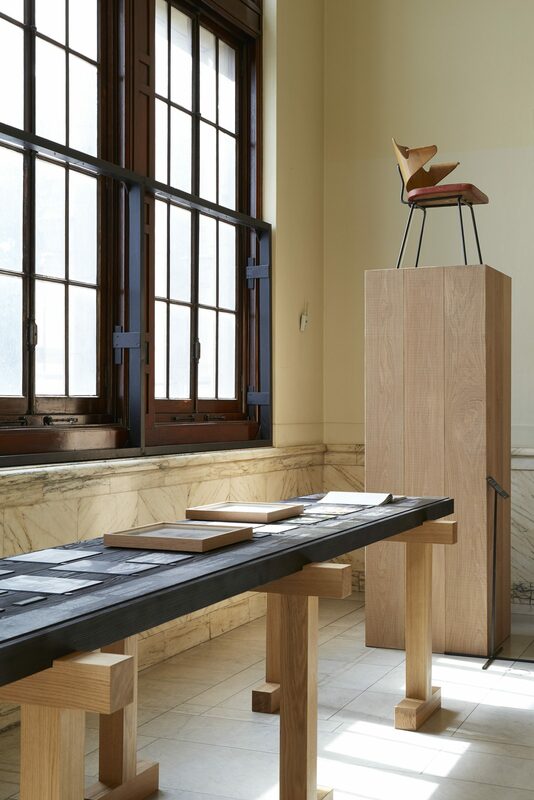 Assemble designed an exhibition at the V&A to celebrate the centenary of Robin Day's birth. 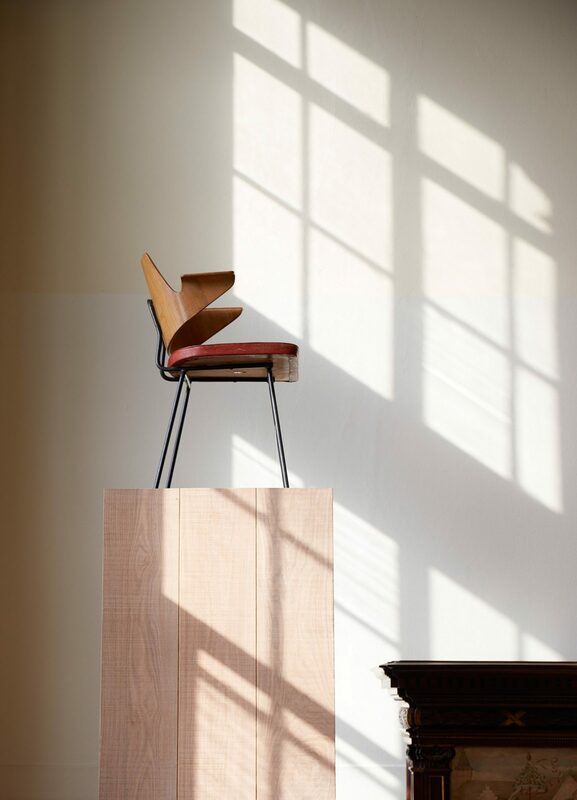 Best known for his ingenuity with industrial processes Robin Day’s designs form the everyday furniture of our lives. 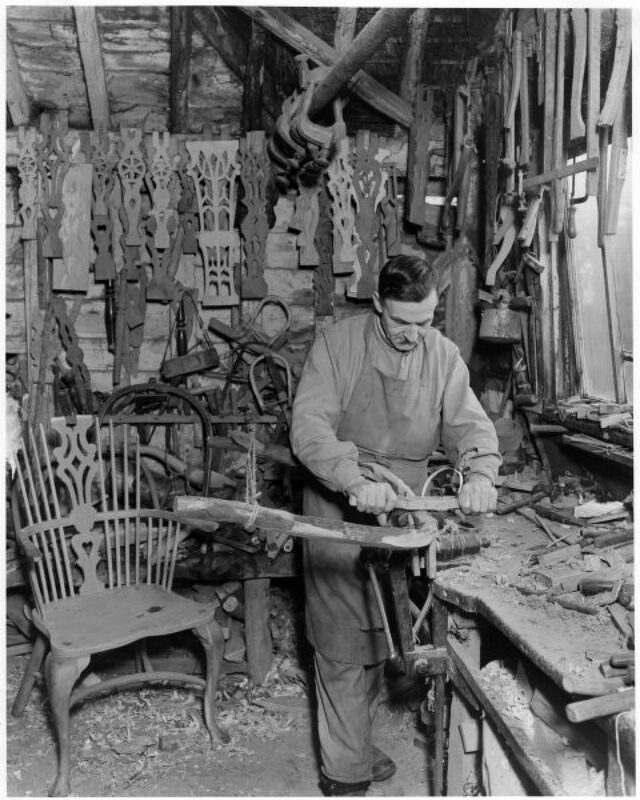 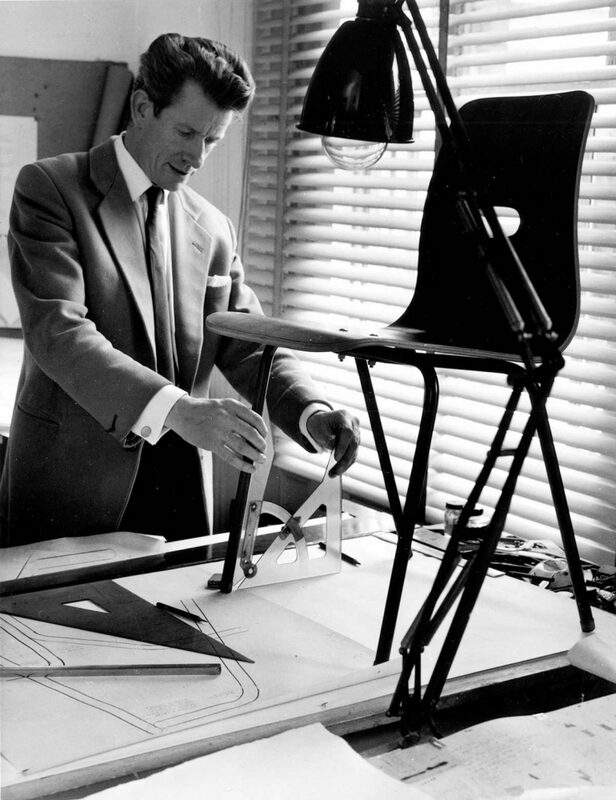 Day grew up in High Wycombe, situated amongst woodlands and a furniture industry where materials, processes and products were inextricably linked with the rhythm of everyday life. 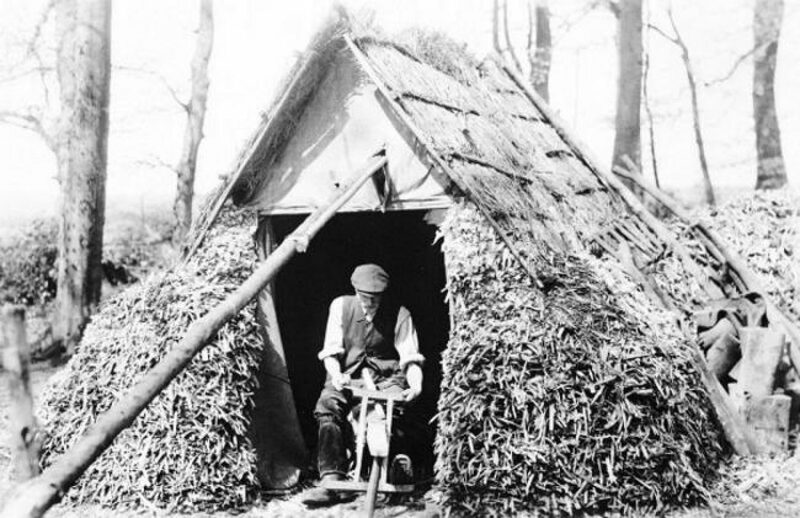 For Day the forest was the fundamental site of creative exploration: climbing trees, lighting bonfires, whittling bows and arrows and watching the bodgers turning the greenwood into chair legs for the local industry. 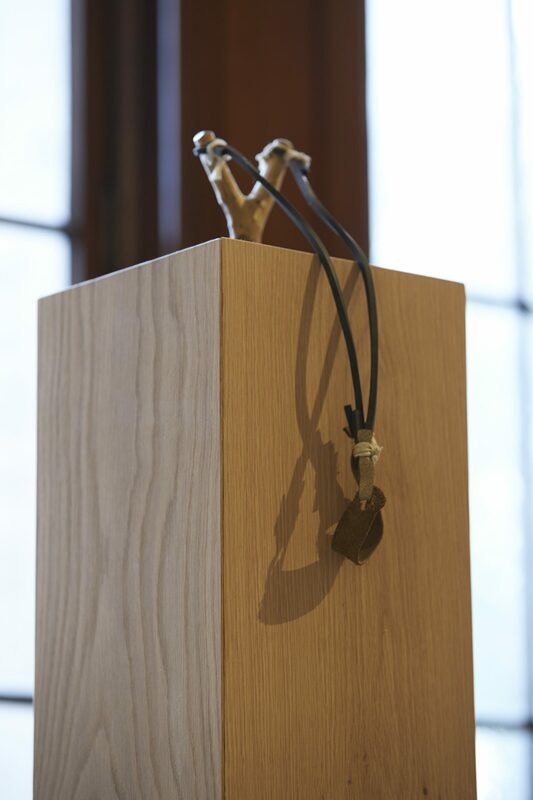 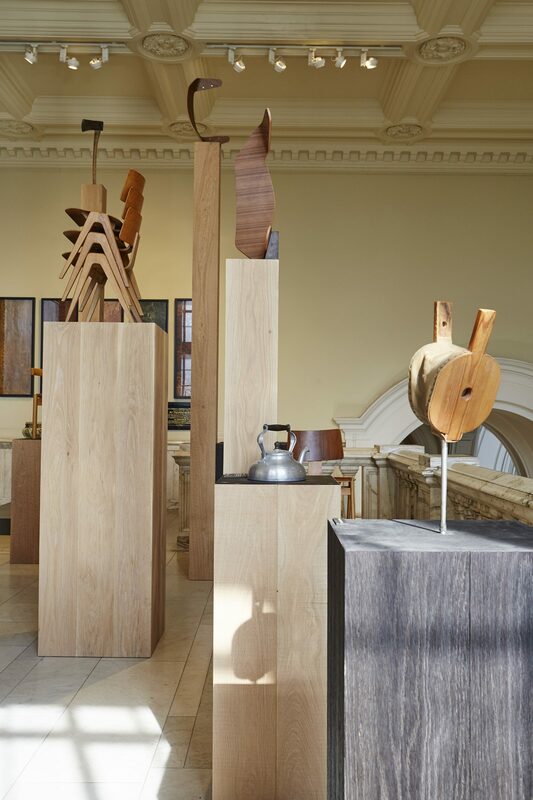 In this environment the trees became malleable – a material through which he could both explore the world around him. 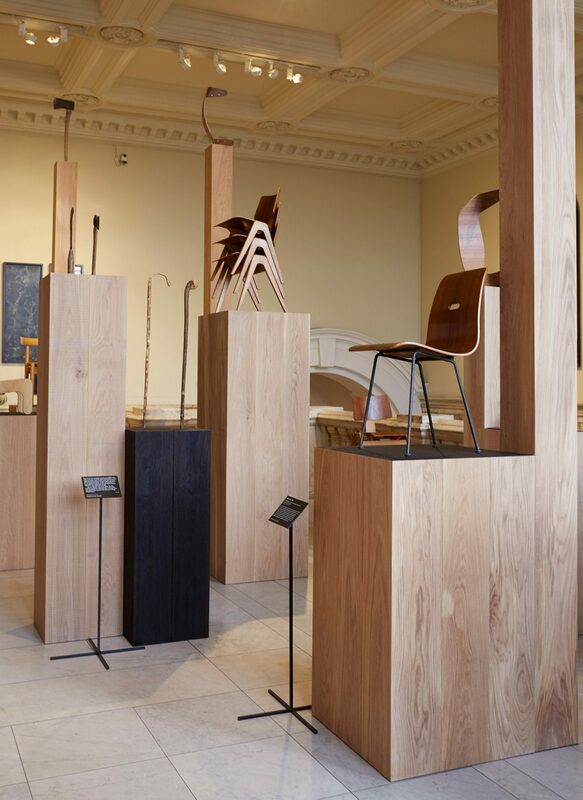 From the greenwood bow of Day’s childhood to his explorations in moulded plywood this installation explored the direct link between play and material innovation. 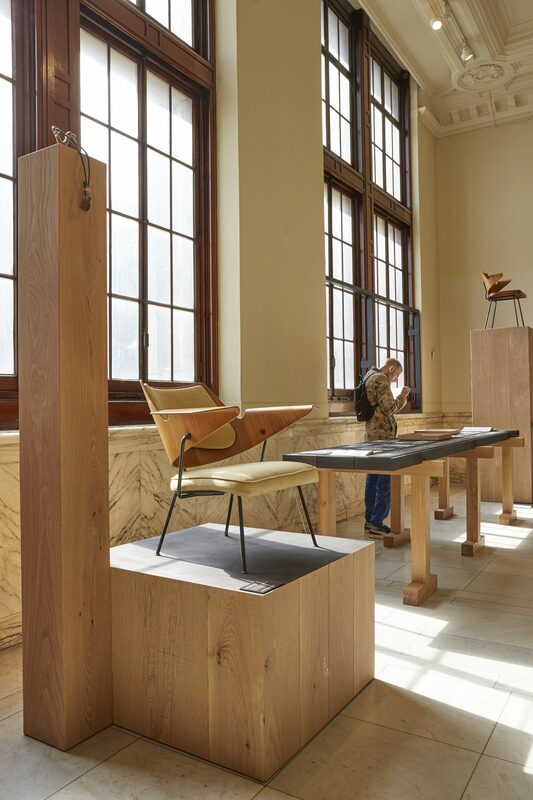 ‘Forest’ was shown at V&A, curated by Jane Withers and realized with the support of the Robin and Lucienne Day Foundation.